But as this new House of Lords report says, seaside towns are also a significant development challenge. Forged over a century of industrial-era leisure, and beached (literally) by the advent of cheaper flights to sunnier climes, they are often literally at “the end of the track” for the rest of us. Their miles of now-cheap accommodation have also provided an answer to authorities seeking to house people - whether moved from other towns or fleeing from strife in other countries, or old and retired. Sometimes this is a quiet mix of elements, sometimes unstable and socially incoherent. Many of us can think of seaside resorts - Brighton or Bournemouth might be examples - where their faded grandeur has meshed well with an expanding student population: booming universities become the anchor institutions for start-ups and local business creation. There are other locations - like Margate or Southend - which are perhaps at the start of that process. 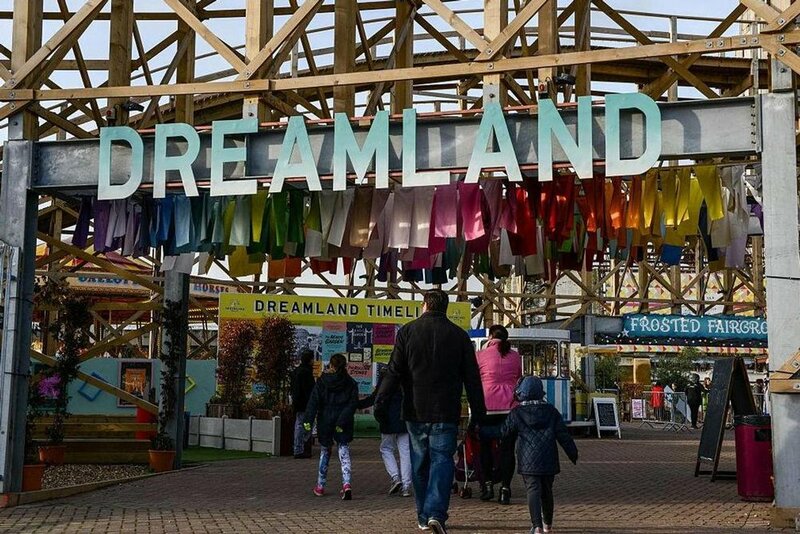 Margate in particular, combines the post-modern carnival fun of the Dreamland park, as well as the cutting edge art at the Turner Contemporary gallery. All the while evoking a slightly edgy feel (the place was a notable locale in which London gangsters associated). Let’s see whether the artists’ presence - what Grayson Perry called the “shock troops of gentrification” - maintain the curve outwards. Yet in terms of A/UK’s perspective - where we want localities to grapple with both the hard limits of planetary survival, and the unlimited potentials of radical technology - the seaside town could be seen as right on the cusp of both tendencies. At the very least, over the medium term, with sea/oceans levels rising and extreme weather conditions intensifying, seaside towns could literally be on the frontline of environmental damage (the HoL report has a substantial section on “coastal erosion and flooding”). Each coastal resort will be different of course, but they could be testbeds for a whole range of climate-resilient building and experimenting, and the mobilising of communities around that. On the other hand - with superfast connectivity and distributed manufacturing making almost any location potentially usuable sites for creative work - there is a real potential for the built environment of the classic seaside town to become attractive to the creative classes. A “place of dreams and ease” can also become a platform for a whole range of information-rich enterprises, in which imagination - sustained by skies, seas, beaches, sun and rain - can fly and flourish. We are also reminded of the visions of the Glasgow artist George Wyllie. George imagined Scottish coastal and sea-side towns up and down the Forth of Clyde being connected much more to each other, via regular ferry boat services, than by easily clogged A-roads courting commuters from the outside. Why shouldn’t the sea and the waters be the polity or connecting tissue for localities, as much as them bemoaning that visitors won’t make it to where the road ends? (It looks like the late Wyllie might be getting his wish). The HoL report makes for fascinating reading (more here). See this piece also from the FT. As have their recent reports on AI, and Soft Power. An argument for a consultative second chamber (though perhaps not in this form).